LYNN LAKE — The eagle wasn’t soaring the way a raptor should when rescuers discovered the bird stuck in the slush on Lynn Lake in northwestern Manitoba earlier this week. Somehow they got the injured bird into their van and then called the RCMP to ask what they should do now? Officers came out with a dog kennel and donned snowmobile mitts to transfer the big bird from the van to the kennel without further injuring the eagle or themselves. Mounties say in a release it’s not clear how the eagle was hurt. 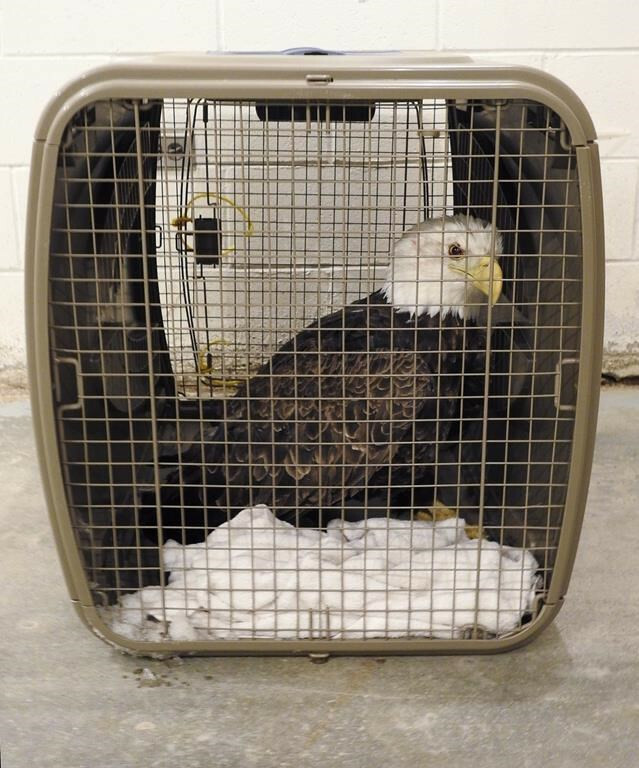 Arrangements have been made for "Slushie" — as the eagle has been dubbed — to be transported to a wildlife rehabilitation centre for examination.